Opulent metallics are a huge trend, and in 2015 will feature highly in home decorating. 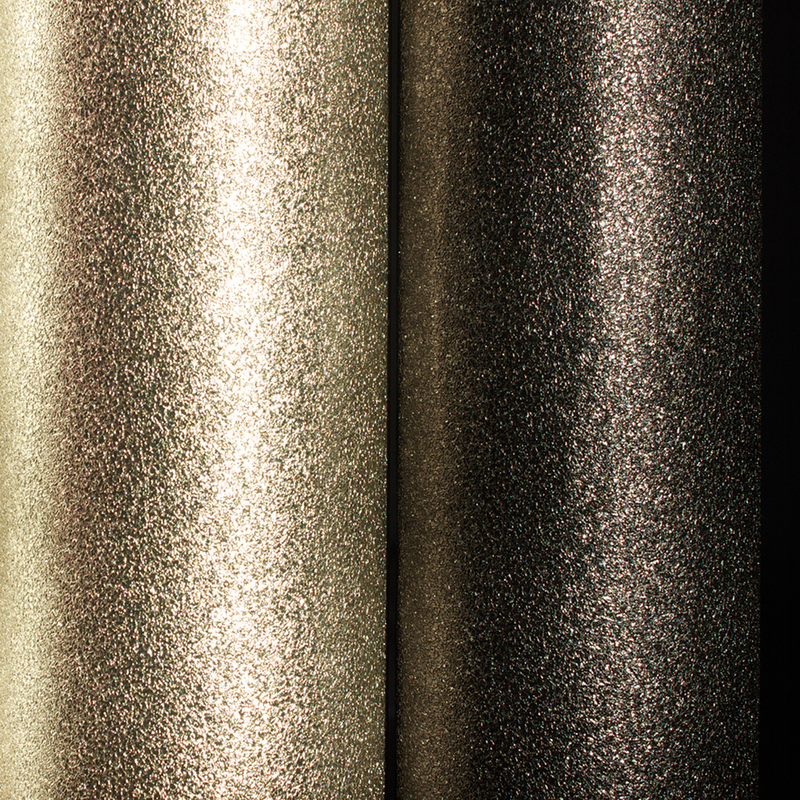 Our fantastic new Sparkle range has been developed with the highest attention to detail for the ultimate glam backdrop. Heavyweight vinyl is used as a base, followed by highly reflective foil, which is then covered with metallic ink and finally thousands of large glitter particles to achieve a truly luxurious look. 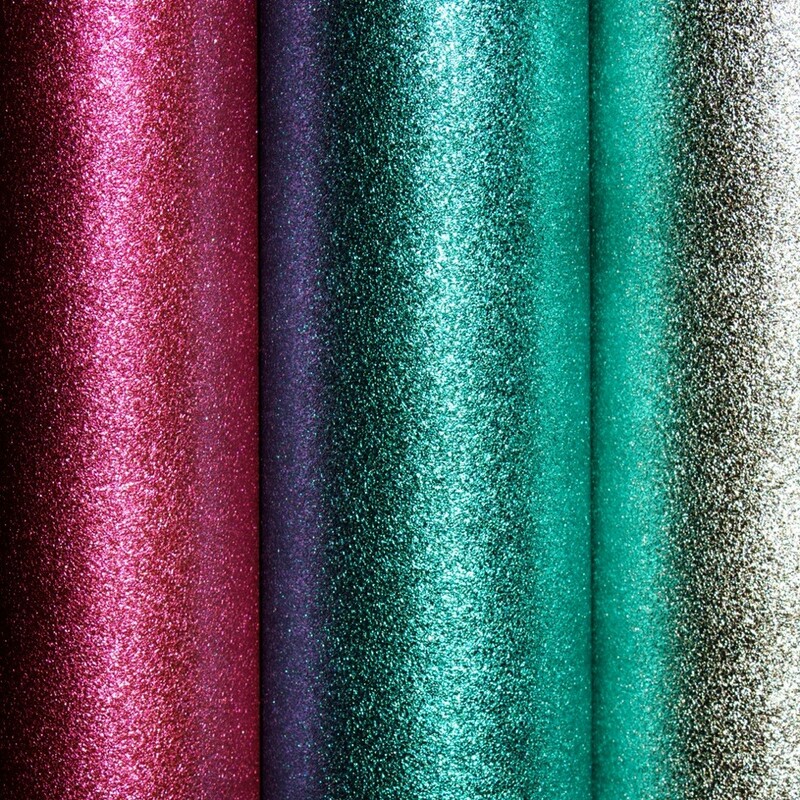 Sparkle is available in six stunning colourways: silver, gold, black, mink, hot pink, and hot teal. For more information, please contact your local wallpaper retailer or send us a message at info@muriva.com. if you let us know where you are based, we can recommend a retailer near you? Another option is to search for “Muriva Sparkle Wallpaper” on the internet and you will get a listing of Muriva retailers who also sell this collection online. Hope this helps. Inex Homecare in Glasgow are a stockist of our Sparkle range. They are at 490 Victoria Road, Glasgow, G42 8YJ. The nearest independent retailer to Gillingham is Astra Decor in Sittingbourne (circa 25 miles) other than that C.Brewer and sons (pattern books only). The best independent in the south of England is Basildon wallpapers who are also online which would be 35 minutes away. Also could buy the product online at Go wallpaper or Wallpaper Central. Hope this helps! Hi, Please can you tell me if you also do white glitter wallpaper and also could could you tell me the nearest stockists to me please that do all colours. I’m in Tonbridge Kent. Your nearest retailer is Brewers Decorator Centre, 20 Orchard Business Centre, Sanderson Way, Vale Road, Tonbridge TN9 1QQ, Phone: 01732 356009. 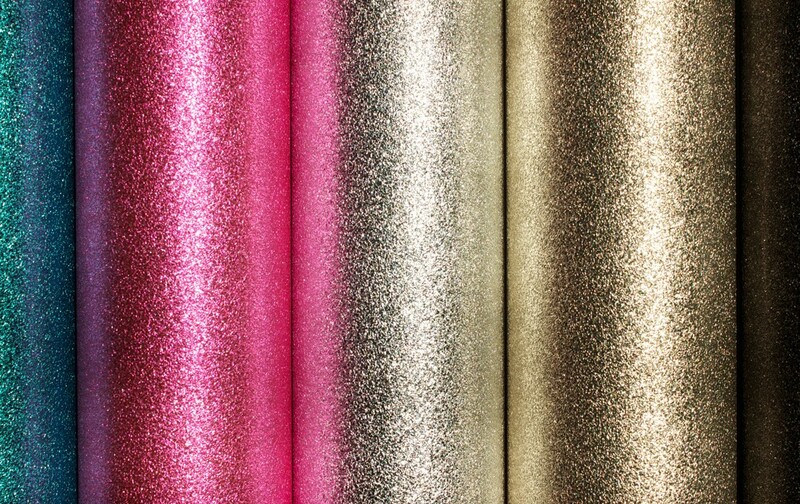 Brewers do not carry rolls of wallpapers in stock, but they have sample books of the Sparkle items and also can provide you with samples to take home. They will then order the quanitity you need from their distribution centre. Another option is to order directly from an online retailer who can also provide you with samples upon request. If you google “Muriva Sparkle” several retailers will come up. Wallpaper Central, Go Wallpaper, I Love Wallpaper, I Want Wallpaper and Lancashire Wallpapers are a few. Hi can you please tell me if a retailer in northern Ireland stocks your glitter wallpaper? Hi, I was after speaking to somebody about stocking your glitter wallpaper, if someone could contact me please. If you could let us know where you are based please, so that we can have the correct territory manager contact you? Thank you; our National Sales Manager Adam Spurgeon will be contacting you. He is traveling in Scotland for us this week, but I will ask him to get in touch via the email address you provided. my daughter loved the soft pink sparkle paper we found in B&Q but it was out of stock. Every website i have checked only seems to stock hot pink. are you still manufacturing the soft pink? Hope your daughter enjoys her lovely pink sparkly room! 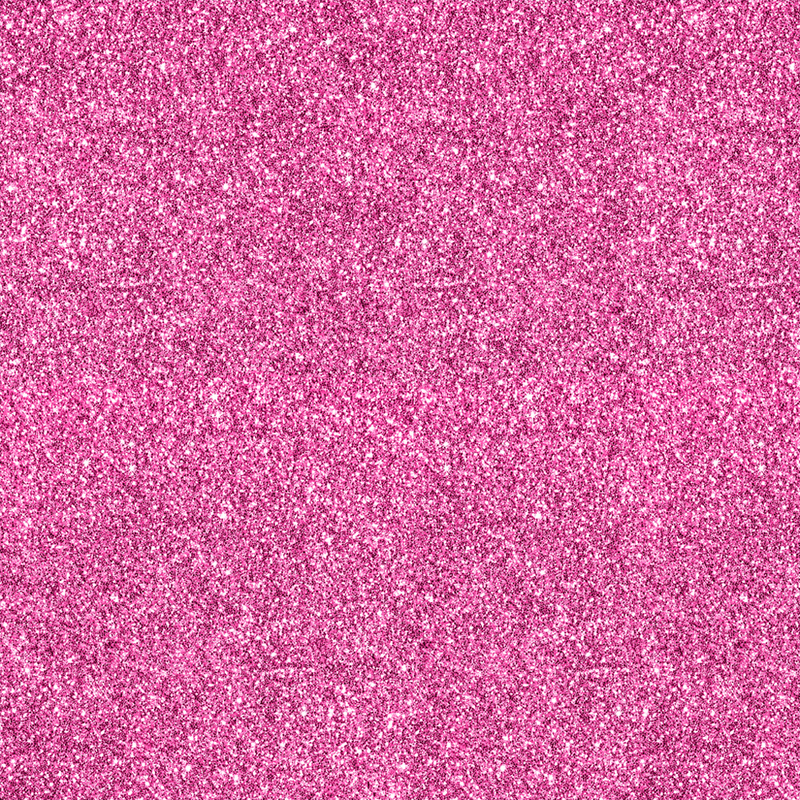 just to add to my comment above: We will be delivering a large amount of the soft pink Sparkle to B&Q’s central distribution this Friday, so they should have it back in stock next week. It is a brand new product for them and it usually takes a bit of time to adjust their stock planning accordingly. I’m sorry you were disappointed with the results after hanging your wallpaper. The best thing to do is to register your complaint with the retailer you purchased the item from. The retailer can assess the product either in situ, or via images you provide. If the fault is with the product and not the installation, the retailer will handle the complaint with us. Hi please could you advise on registering for a trade account. Of course; could you please email us your details at info@muriva.com with the same request, and we will post you an account opening request form. Can you please send all six colours of Sparkle. silver, gold, black, mink, hot pink, and hot teal as well as the ones previously sent – Also what price is Sparkle? Unfortunately we can only provide samples via authorized Muriva retailers who stock the product. Several of them offer a sampling service online – for example, Wallpaper Central, Go Wallpaper, Lancashire Wallpapers, I Love Wallpaper, or I Want Wallpaper, to name a few. If you google “Muriva Sparkle” you will see more listings to choose from. The prices for Sparkle are set by the retailers as well. It tends to retail around £19.99 per roll. In the Romford area you could try Brewer’s Decorator’s, who can show you samples of the Sparkle Gold and can order the product in for you. Alternatively, many of our stockists offer the product online: Go Wallpaper, Wallpaper Central, Amazon, Select Wallpaper, Lancashire Wallpaper, Decorsave, Homeflair Decor, and various sellers on eBay. If you search for Muriva Sparkle Gold on Google the listings will appear. You can also contact these retailers for a sample should you require one. I too have just bought the silver sparkle. What a night mare to hang. Also joins are terrible. ????. So very disappointed ???????? cheap paper too thin. I’m sorry you had a disappointing experience with out silver Sparkle wallpaper. It is actually one of our best-selling wallpapers and actually the rate of complaints is extremely low. As our company operates to ISO9001 standard, we do like to follow up on any complaints to ensure there are no faults with our product. From what you are describing, I am wondering if the fault could lie with the direction of the paper, or with the paste, or both? If you read the product specifications and the hanging instructions (on the front and reverse of the label), you will see that the product needs to be hung with all strips in the same direction as they came off the roll – in other words, NOT reverse hung with the strips alternating in direction. If you alternate the strips, the joins will show. Another important point is to use ready mixed heavy duty wallcoverings adhesive – like you would for any vinyl wallcoverings. Cheap paste, especially when mixed with too much water, can damage all wallpapers (in general) and can also make some of the ink come off if it bleeds out between the seams. If you have investigated both points and still find that the fault lies with the product, please contact the retailer you purchased it from, and ask about their return policy, and what they can do to help. Hi anne. Thank you for your response. But I don’t believe it was how good the paste was or how it was hung. The paste was solvite an we followed the instructions to the letter. In my appoion its the thickness of the paper is were the problem is. Its such a shame cus on the roll it looks ace ???? Sorry for the delay in replying; we have been so busy!! I’m sorry to hear this. The paper has been the same for all production runs of Sparkle, and in addition there is a layer of vinyl, and Mylar (which gives it the metallic effect). So it is actually quite a heavyweight product as wallpapers go. The only thing I can suggest is that you ask the retailer where you bought the product to have a look (or send them a sample) and they can judge it by experience and hopefully give you an opinion. If the paper is faulty, then of course the retailer would sort it with us and get you a replacement. Hi I’m after the black sparkle wall paper I live in Bury BL9 they only do silver & gold in B&m bargains is there any where near to me where I can get it please ? There are quite a few of our retailers in your area, for example Your4Walls in Ramsbottom, GoWallpaper in Bolton, Lancashire Wallpapers in Oldham, or O’Neills Decorating Centre in Rochdale. It is always saftest to ring ahead of time to see if they have the black Sparkle in stock, but all of the retailers mentioned trade online as well, and can order the product in for you if it is not physically in store. They can also order a sample for you, should you require one. Hi, I purchased the Sparkle in Mink. It looks awful as you see the joins and the wall looks like some strips are a different shade altogether. I read your previous comments about reading the instructions about hanging the paper as hanging the wrong way gives a colour change. However, the instructions on the label are general instructions that talk about “allowing for pattern repeat” and to “CONFIRM the desired direction of the pattern before hanging” . To the general public, there is no pattern to this wallpaper so you would think there’s no match………I don’t feel your instructions are clear enough and specific to the Muriva Sparkle range. I am going to have to strip the walls again and purchase more paper and start again from the beginning …..an expense that could’ve been spared if you had more specific instructions on the label. Very disappointed and now out of pocket!! We have taken your comments on board and on future labels we will add the phrase “do not reverse hang”, as for some reason some consumers seem to reverse hang the product – meaning one strip goes in one direction and the next one in another – be it by accident or on purpose, because they think it might give a better effect (which clearly it doesn’t). Would you kindly email your complaint to info@muriva.com, indicating where and when you bought the product, and our customer service team will be in touch with you. Can you let me know where you are based please so that I can recommend a retailer near you? Or are you looking to order the product online? As it is a heavyweight vinyl, we recommend that you use a heavy duty, ready mixed adhesive from a reputable brand, such as Solvite or PRIDE. This will prevent “watery” paste coming out between the seams. If there is a lot of paste to wipe off, then there is a danger of taking some of the glitter / ink off as well. It is also important that the paper is NOT reverse-hung. It is directional, and all strips should be hung in the same direction top to bottom. So please ensure you are aware of the correct direction of your strips before you hang them. Hope this helps. I’m sure you will be pleased with the end result! It is one of our most popular collections! Thank you for your interest in becoming a retailer for Muriva. Would you kindly email your request to our main office at info@muriva.com and ask for an account application form. Our retailers in the Cambrige area are Brewers Decorator Centre and Dulux Decorator Center. Both should have our Sparkle range to view in books, and can order the desired amount of rolls in for you. They can also supply you with a sample if needed. Hope this helps! I’m sorry to hear that you have had problems hanging this wallpaper. Please note that Sparkle is a directional texture, meaning the strips will reflect light differently if they are turned upside down. This is why we indicate on the front of the label to NOT REVERSE HANG the texture. If you reverse hang any metallic texture, the first strip will reflect light one way – appearing lighter – and the next strip, hung the wrong way round, will reflect the light another way – appearing darker. 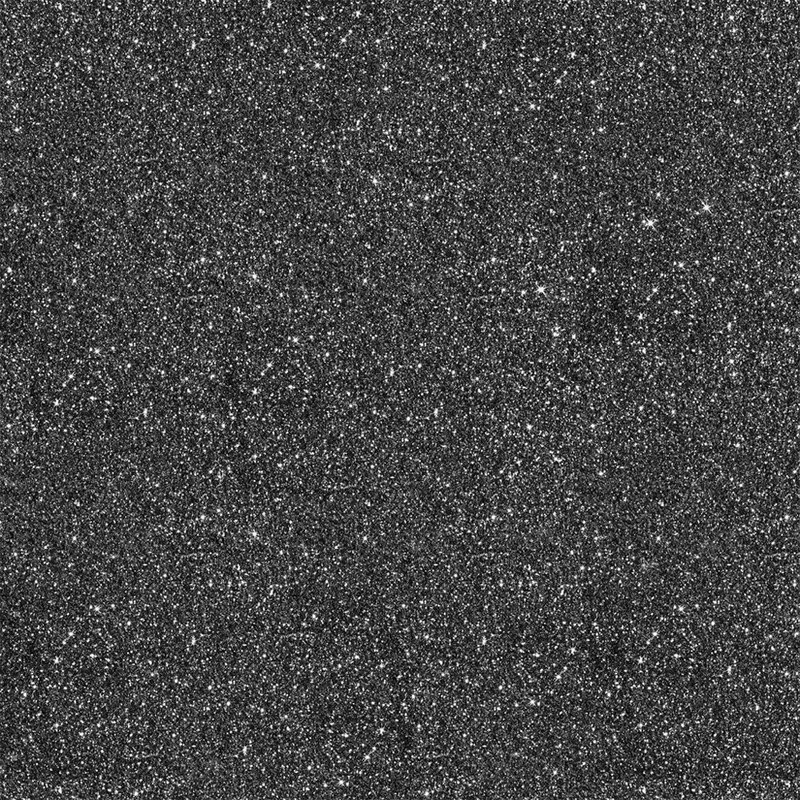 Hence you get the “football lawn” effect of light and dark that you are describing. We also recommend on the label that you test hang 3 strips before continuing, to ensure that you are getting the correct result. However, if you don’t think the texture has been reverse hung, and the fault lies with the product, then please take the remaining rolls and the labels from the rolls you have already hung to the retailer you purchased the product from, along with your purchase receipt. It might be helpful to also take a few pictures to show the retailer. The retailer can assess the situation and if necessary, contact us to start a returns procedure. If the fault lies with the product, we are more than happy to send the retailer replacement rolls which he can pass on to you. If you have any further queries, please contact our quality assurance manager Cheryl at info@muriva.com. Really sorry to hear you experienced problems after hanging your wallpaper. As you can see from previous comments, most issues unfortunately stem from either using the wrong adhesive, not adhering to the required soaking time, or from using the wrong amount of adhesive and therefore wiping the seams too vigorously. If you did use ready mixed adhesive for vinyl wallpaper (as it states on the label), and you feel that the issue lies with the printing of the wallpaper itself, then please take your remaining rolls (of the same batch you purchased) plus any labels of the rolls you have already hung (to show the batch number) back to the retailer you purchased the product from. Also if you could please take some pictures on your phone to show the retailer. The retailer can assess the situation and if necessary start a returns procedure with us. I am very sorry for the invconvenience, but as we only supply to the trade, any returns have to be prompted by the retailer according to their customer service policy. 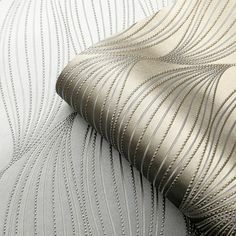 I to bought the Muriva Sparkle wallpaper from Price Right Home. Had the same think happen to me. Could see every joining line. Contacted supplier and was told it was my decorators fault. Got a second decorator to hang the paper and he made sure it was all hung in the correct way from the roll, but still could see every joining line. To make matters worse my decorator used strong adhesive as suggested and now a month after hanging it has started to peel away from the wall. Price Right Home are not interested and keep blaming it on my decorators. Disgusted. Glad I am not alone with this wallpaper problem. Seems quite a few other people have had the same issue and also it says repeat pattern on the instructions. Do not buy this wallpaper. You will regret it and won’t get your money back for it. We have checked our records and strangely enough we don’t seem to have any previous emails from you. We have also contacted your retailer, Price Right Home (aka Argofield), and they have checked their databases as well and don’t seem to have any communication from you either. Sometimes emails do get held back by spam folders, but for this to happen at both companies simultaeously is hightly unlikely. We do stand behind our product and from the tens of thousands of rolls of Sparkle we have sold, only a minute percentage of complaints stemmed from the product being flawed. The vast majority of complaints relate to using the wrong paste, not observing the correct soaking time, rubbing the seams too vigrously, or acccidentally reverse hanging the product. We do want to help, so if you could please contact your retailer again (seeing as they have not received your first complaint), or you can email any photos plus item and batch numbers to our quality assurance manager Cheryl at info@muriva.com. Why dont you stop blaming everyone else for the fact you can see the joins when the wallpaper is on the wall? I haven’t actually seen a photo of this wallpaper or the Amelia wallpaper (which I have) where there are no joins visible. But there we go, everyone who has it must be hanging it wrong.